In the clip, Preston explains the stories behind some of his most famous Zeppelin photos from the band’s 1970s tours. Due April 15, the illustrated digital coffee-table book is created and designed especially for iBooks, giving fans an unprecedented glimpse into the world of Led Zeppelin. “Sound And Fury” includes a written introduction by Stevie Nicks. 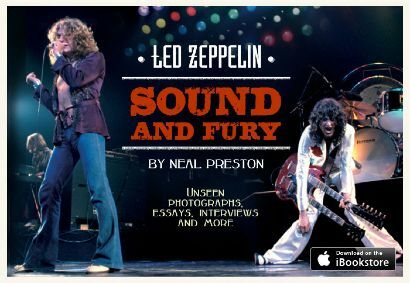 “Led Zeppelin: Sound And Fury” is available for pre-order now at iTunes here.